Bethan Huws has been commissioned by Turner Contemporary and Stour Valley Arts to create new work which will be presented in two locations. Challock Wood and Margate, Kent, from 26 September 2009. 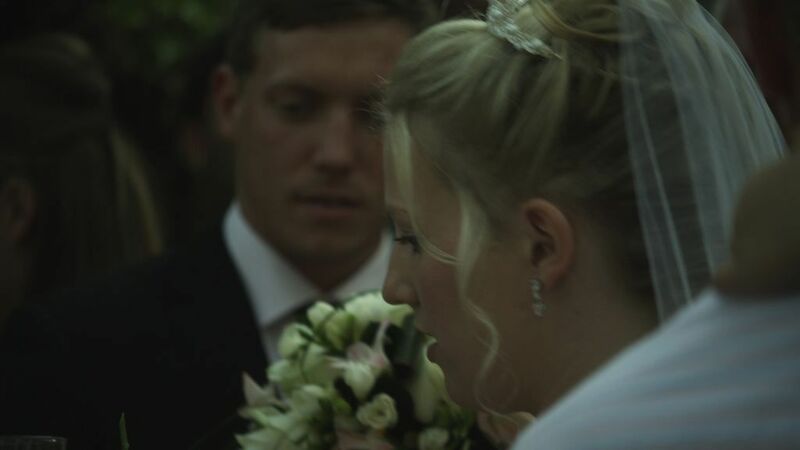 A Marriage in the King's Wood, a film of a wedding reception at Margate's Winter Gardens, will be screened under a canopy of trees in King's Wood, Challock. Kent. The projection displaces the man-made Winter Gardens into the natural forest environment and creates links with the past and future, as embodied in the ritual of marriage. This film will be shown on two days, 26 and 27 September 2009. To complement the screening, Huws has created text works for a pair of Victorian shelters on Margate seafront. Responding to the distinctive architecture of the shelters and echoing ideas of domesticity and mortality found in the film, these works will remain in situ until 6 December 2009. The reception will be held in the depths of Challock Wood, Kent on Saturday 26 September, and all are invited to the premiere of Bethan Huws' new film. Please see Stour Valley Arts and Turner Contemporary websites for more information about the free return coaches to Challock Wood from nearby train stations (nb please book ahead - Victoria/Ashford is best from London).